Located in Stapleton Beeler Park among beautiful lush parks and parkways, this sophisticated traditional home features exceptional old world details and your choice of contemporary finishes throughout the 3,029 SF of living space. The home's airy, light-filled living spaces are inspiring. A bright and expansive kitchen features stainless steel appliances and a large eat-in island, while a spacious living area and dining room are ideal for entertaining. Three bedrooms on the second level are voluminous and bright, including a well-appointed master suite with a large bathroom and walk-in closet. An ultra-private sideyard, serves as an idyllic retreat, with tranquil, romantic parks weaving through the community. 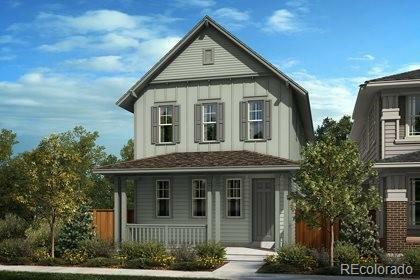 I look forward to touring you through the Verbena model and showing you around the area. Interior photos provided are of model home, not actual home.